One of my favorite things about traveling has always been hotel bathrooms and amenities. With such variety in bathroom fixtures and shower designs it always feels like shopping and testing bathroom layouts and details for my future home design… and the same goes for amenities! You get the chance to test so many different scents and brands and products as you bounce from hotel to hotel. So while surprise toiletries are often a hotel luxury, when doing a vacation rental, there’s no reason to forego the playful newness and experimentation of toiletries! 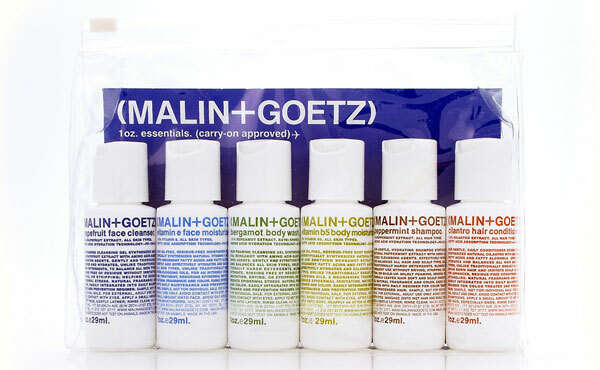 So instead of packing your usuals and making mini bottles of everything currently in your bathroom, why not have a little fun and grab a set from an awesome brand you’ve been curious about? On the next page i’ve rounded up some favorites, some i’m curious about, and an awesome site that’s bound to have something you’ve yet to try! 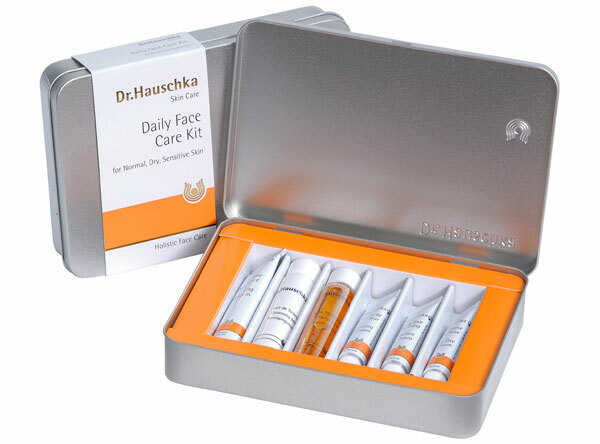 Dr. Hauschka’s Daily Face Care Kit - this awesome reusable tin is filled with Cleansing Cream, Cleansing Milk, Facial Toner, Moisturizing Day Cream, Rose Day Cream and Quince Day Cream. 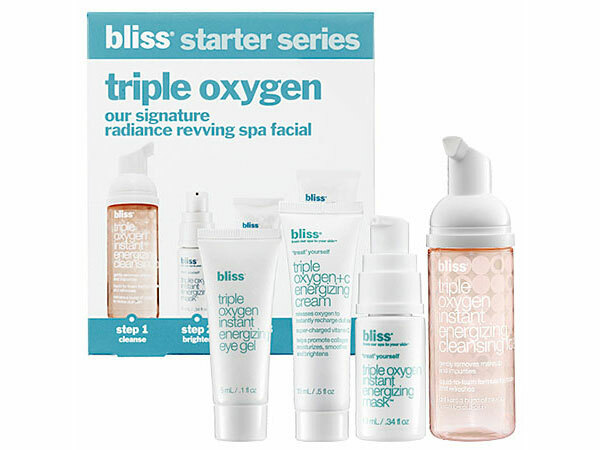 Bliss Triple Oxygen Starter Kit - it’s like Bliss’ signature spa treatment on the go! It contains the Triple Oxygen Instant Energizing Eye Gel, Triple Oxygen+C Energizing Cream, Triple Oxygen Instant Energizing Mask, and Triple Oxygen Instant Energizing Cleansing Foam. 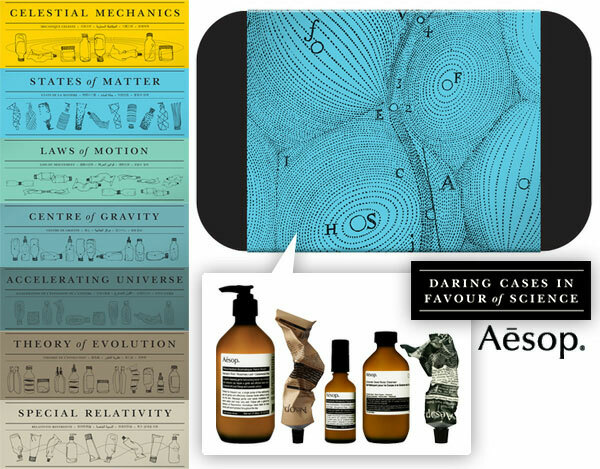 Aesop Daring Cases in Favour of Science - gorgeously packaged gift sets in fun vintage science graphics! With a range from Celestial Mechanics to Centre of Gravity… Special Relativity to States of Matter and more… See our previous write up on it here! Fresh Favorites Set - Soy Face Cleanser, Black Tea Age-Delay Cream, Lotus Eye Gel, and Sugar Lip Treatment SPF 15. Shu Uemura Art Of Hair Travel Kits - my favorite haircare line, these travel kits are the perfect way to try out various shampoos and conditioners! Now to the more male specific options… the previous ones are pretty unisex! 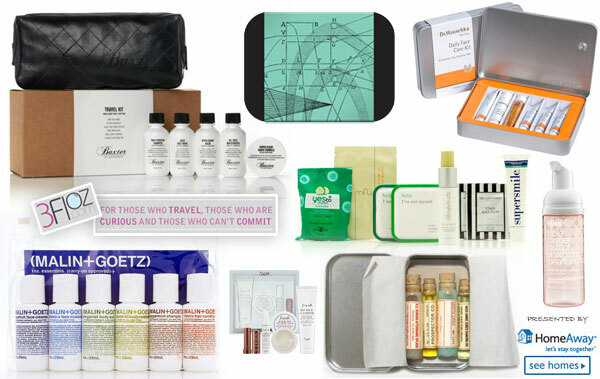 Baxter of California Travel Kit - this one even comes in a black custom dopp kit! Filled with Daily Face Wash, Oil Free Moisturizer, Super Close Shave Formula, After Shave Balm, and Daily Protein Shampoo! 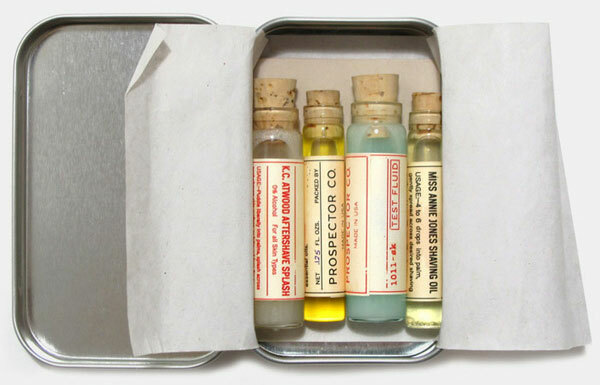 Prospector Co. Shaving Tester Vials Kit - adorable little glass vials in a tin! It contains the K.C. Atwood Aftershave Splash, Peary & Henson Aftershave Splash, Burroughs Beard Oil and Miss Annie Jones Shaving Oil. We previously featured this line on NOTCOT. Anthony’s The Perfect Shave - with a name like that, how could one resist trying it? It includes Glycolic Facial Cleanser, Pre Shave Oil, Shave Cream, After Shave Balm, Luxury Dopp Kit, and Anthony Grooming Card. This site is amazing! 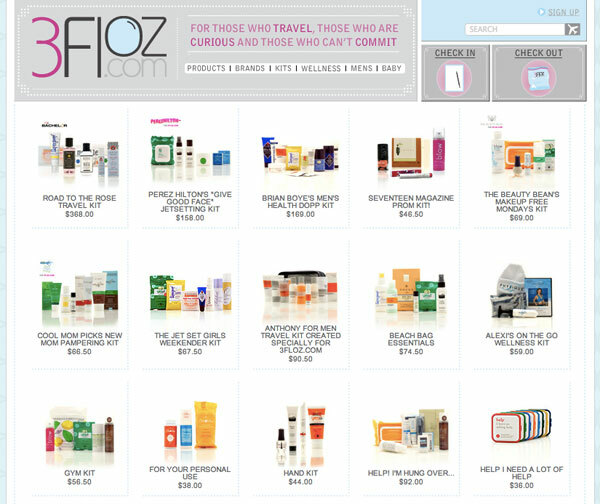 3floz.com - it’s exactly as it sounds, named after the TSA liquid travel size limit of 3 fl oz containers… lots of travel sized toiletries ready to go ~ and some really fun SETS! They have them based on themes (body, face, hear, shave, etc), but more interestingly they have had various companies/web folks create their own kits from Perez Hilton to Seventeen Magazine… Cool Mom Picks to the Jet Set Girls! As an example of the various 3floz kits available ~ the I’m a HOT MESS Kit looks fun ~ YES to cucumbers facial towelettes, Myfaceworks I need to wake up facial mask, Help I’ve Cut Myself Bandaids, Help I have a headache meds, The Laundress Stain Solution, and Supersmile toothpaste.